The software enables users to speedily export Windows Live Mail to MSG by extracting all key email components. It is having no file size limitation, which means that the source file of unlimited size can be exported with this tool. 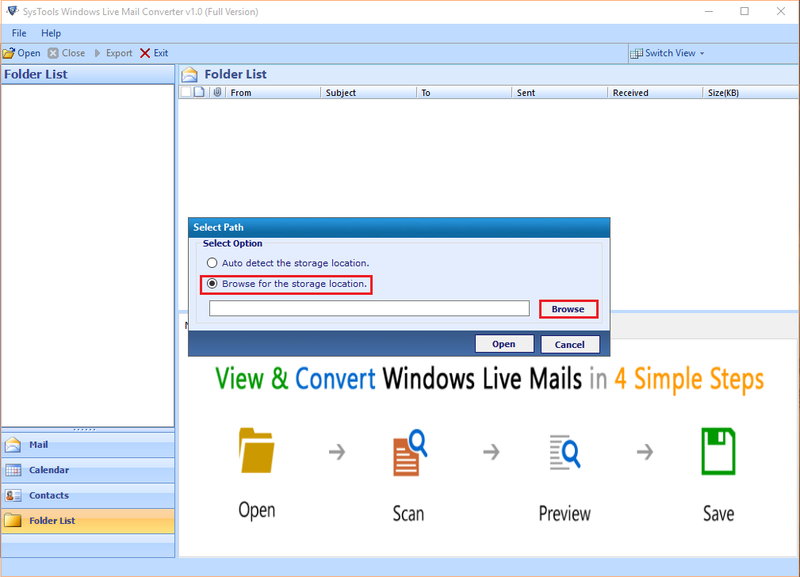 Windows Live Mail to MSG converter is capable of working with bundle of WLM emails at a time. Tool supports batch migration through which one will be able to carry conversion in the less time period. 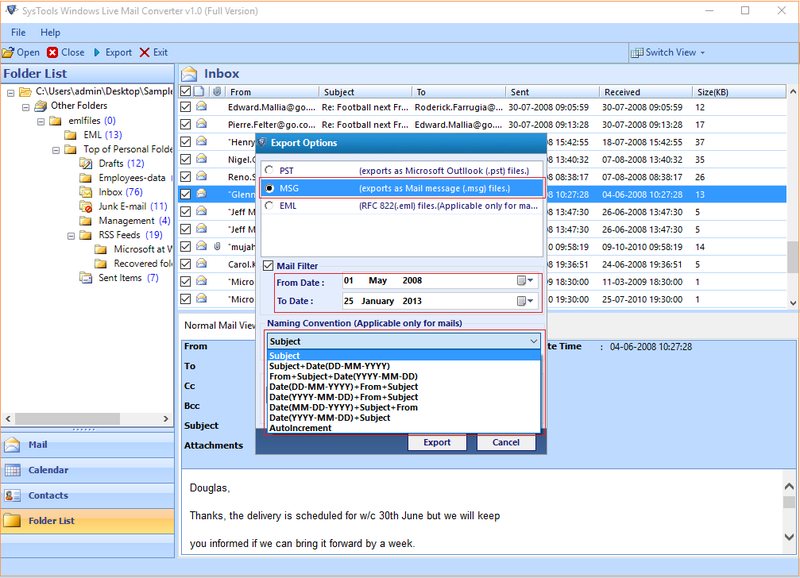 The migrator offers an easy preview of all Windows Live Mail mailbox items. Folders like inbox, outbox, sent, drafts, and all other user-created sub folders will be listed in the tool preview wizard. When file browsing procedure gets finished, the exporter starts scanning the WLM folders on its own. This helps in thoroughly reading the browsed file and thus, permitting users to preview complete file data. 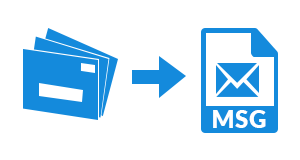 The Windows Live Mail to MSG file exporter performs precise migration by holding email integrity throughout. It maintains on-disk folder structure and keeps content same as it was before the conversion. It is not important that clients have to migrate all messages from Windows Live Mail to MSG. 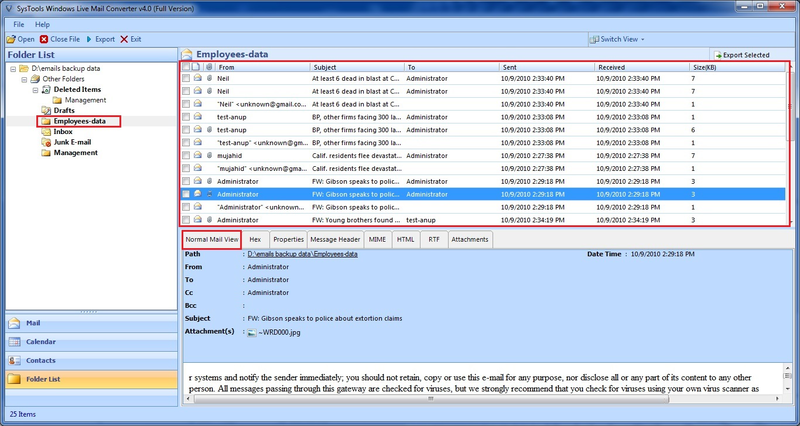 Tool provides mail filtering, selective emails, and particular WLM folders migration to exhibit procedure in selective manner. Will I be able to export an individual message from Windows Live Mail to MSG format? Yes, you just need to check the checkbox of the desired emails and then, right-click on the same panel. Now, click on Export button for attempting the discussed task. Does your software requires Microsoft Outlook email application installation on PC for its working? No, here you will not be requiring any email client program installation for saving WLM emails to MSG file format. Will I be able to export messages from 4 WLM folders to MSG file format simultaneously? Yes, from the Export wizard, select all those folders from which messages are to be transferred in MSG format. What all technical knowledge is required to work with your product? 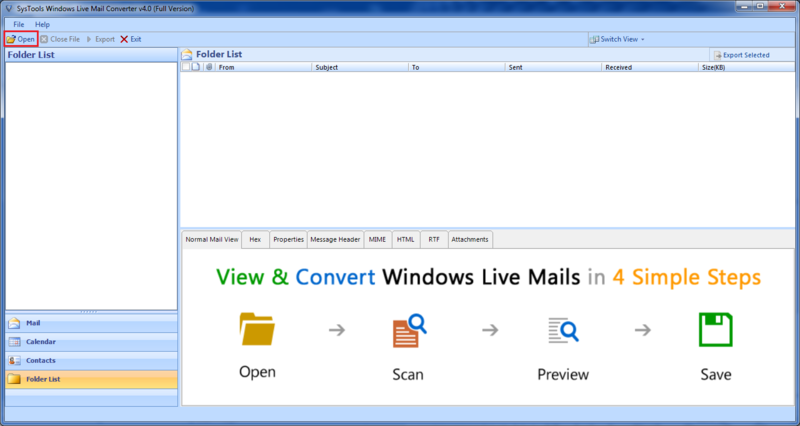 The Windows Live Mail to MSG Converter is designed with a set of designing advance algorithms. These algorithms renders an easy-to-use interface, which permit even a novice user to convert emails. Download EXE setup file of the product and install it on your machine. Click on desktop icon of the migrator and then on Open button. Automatically Browse Files : This will be enabling users to discover the default location of WLM files. 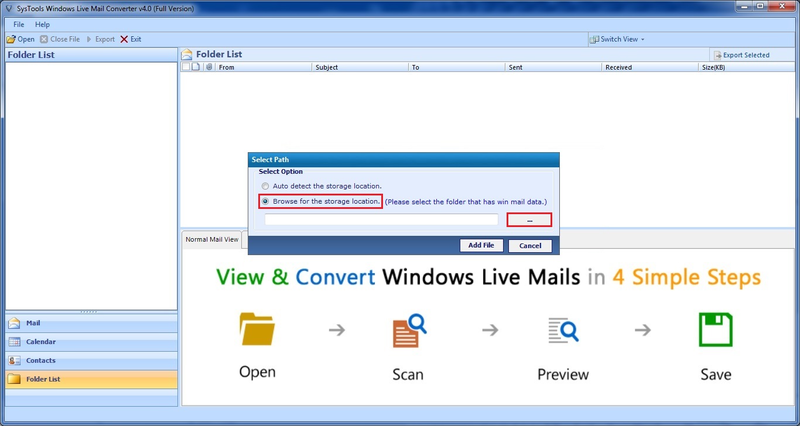 In case you directly need to convert Windows Live Mail folders then, utilize this option. 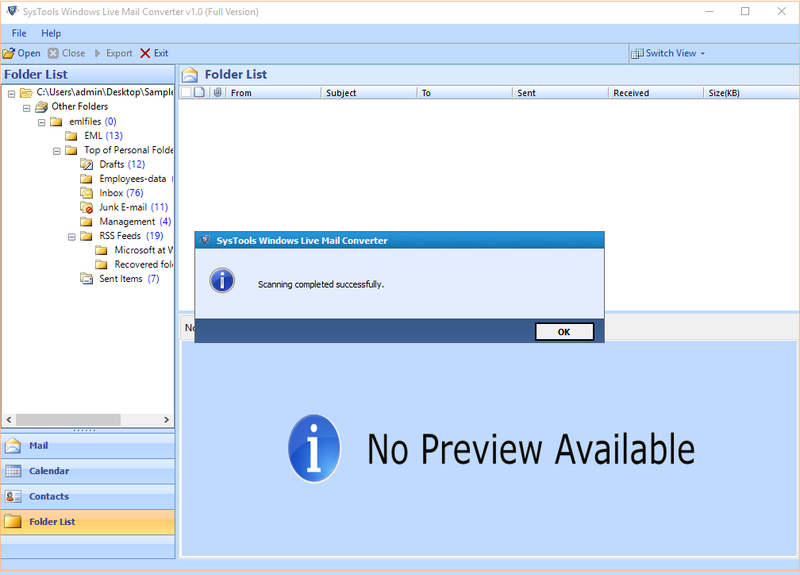 Manually Browse WLM Files : Use this option to manually browse Windows Live Mail database file from any location of your PC. If initial file is at the orphaned location then, make use of this option. The data, which was extracted by tool at the time of scanning file will now be loaded on the preview wizard. 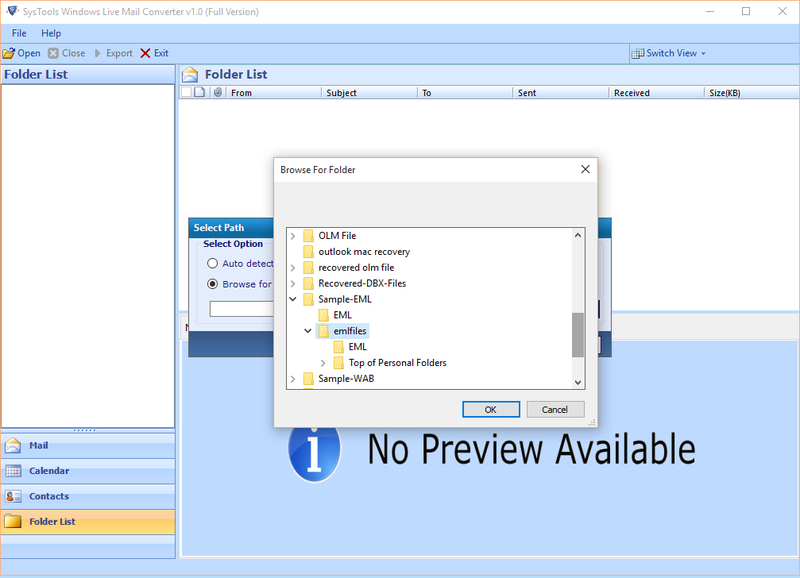 Now, you can preview the extracted data folders as per your need. Click on Export button and then from list of file formats, choose MSG option. If you want to customize conversion then, use date filtering feature and naming conventions feature for the same. At last, click on Browse button to locate path where resultant files are to be saved. 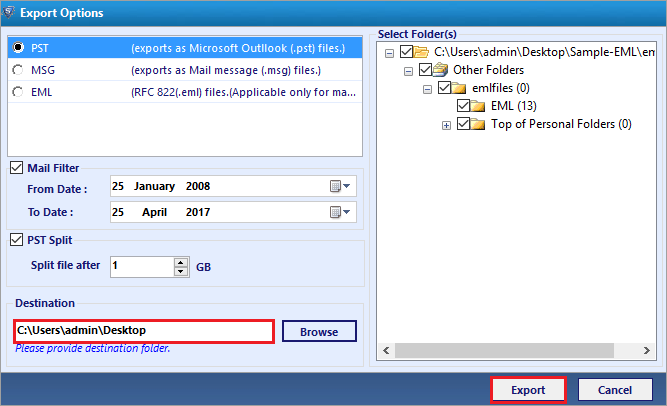 Click on Export to command tool that it should start exporting Windows Live mail to MSG format. "The WLM to MSG Converter helped me a lot in exporting more than thousands of emails to MSG file format. It was getting complicated when I have to move files with an other product of a different firm. One of my friend recommended me to use product of SoftwarePro and I did the same. I am thankful that I cam across this product and now it is like a game for me to export WLM messages to MSG." "Thank you so much for providing such a multifaceted product that reduced my efforts a lot. The software works brilliantly that it also moves WLM emails with attachments too. Without any single bit change, the Windows Live Mail to MSG converter works flawlessly in an error-free manner. Definitely, I will be recommending this product to all my friends who are looking for solution on the same."